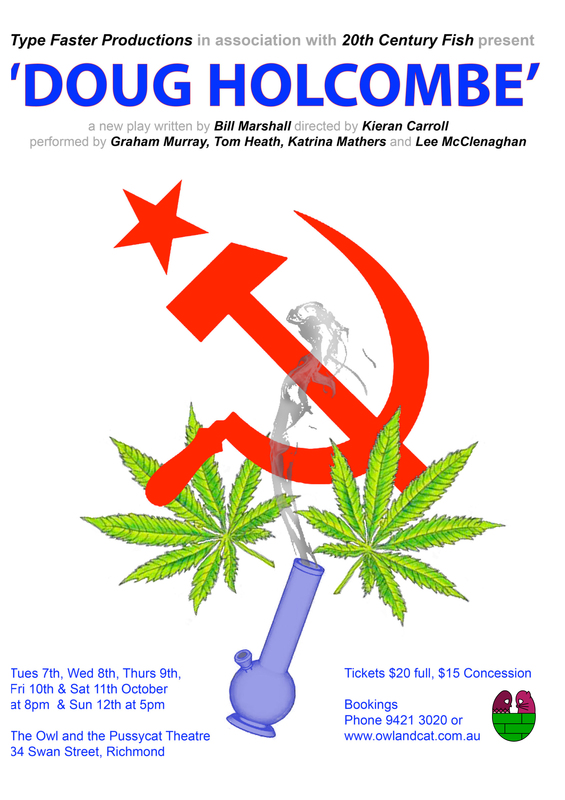 I am directing Bill Marshall’s latest play, ‘Doug Holcombe’ at the Owl and the Pussycat in Swan St, Richmond. The show runs from Tuesday Oct 7 to Sun Oct 12. Bill had terrific success earlier in the year at La Mama with ‘Zena Ladner’ and this exploration into the tricky relationship between a miserly Communist father and a dope addicted, schizophrenic son is a great follow on. Details are below.